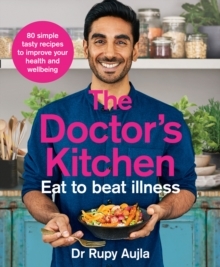 SUNDAY TIMES BESTSELLING AUTHOR Following on from Dr Rupy's bestselling cook book The Doctor's Kitchen, Eat to Beat Illness distils actionable ideas for daily life to teach you how to use food to trigger and amplify your defences against illness. Accompanying the advice there are 80 new delicious recipes. 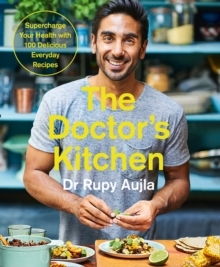 In Dr Rupy's second book he builds on the message that what you choose to put on your plate is one of the most important health interventions you can make. Food can not only affect our likelihood of disease but it can lengthen our lives, change our mood and even affect the expression of our DNA. The first section of the book explains how our bodies can better fight off illness through eating well and how we can heal our bodies through simple lifestyle changes including exercise, stress reduction, sleeping well and finding purpose in our lives. It is now scientifically proven that certain foods and food groups are beneficial for staving off illness and here Rupy will look at key conditions such as cancer, depression, diabetes, Alzheimer's, stress and explain what to eat to increase our chances of staying healthy. Complemented by 80 new recipes, full of tempting international flavours such as Roast Golden Beets with Italian Greens and Hazelnut Pesto; Bangladeshi Cod CurrySpatchcock Poussin and Middle Eastern Ful Madames;Iranian Dizi Stew; Garlic Chilli Prawn and Black Bean Stirfry with Bokchoy and Silverbeet; Pea and Broccoli OrecchietteJapanese Togarashi Mix, to name just a few, eating well for has never been so easy and delicious.